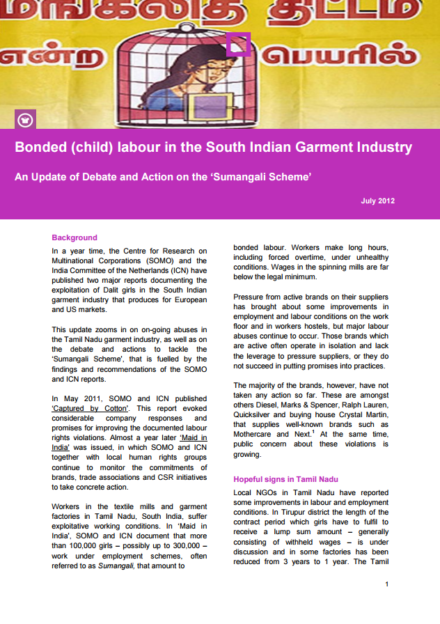 This report highlights several labour rights violations faced by girls and young women employed under the Sumangali Scheme in the Tamil Nadu garment industry. 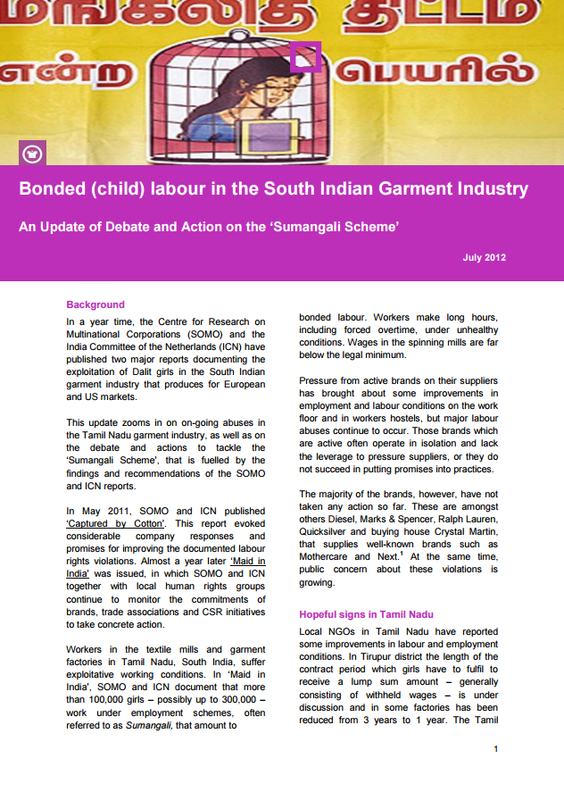 The Sumangali Scheme equals bonded labour, on the basis of the fact that employers are unilaterally holding back part of the workers’ wages until three or more years of work have been completed. 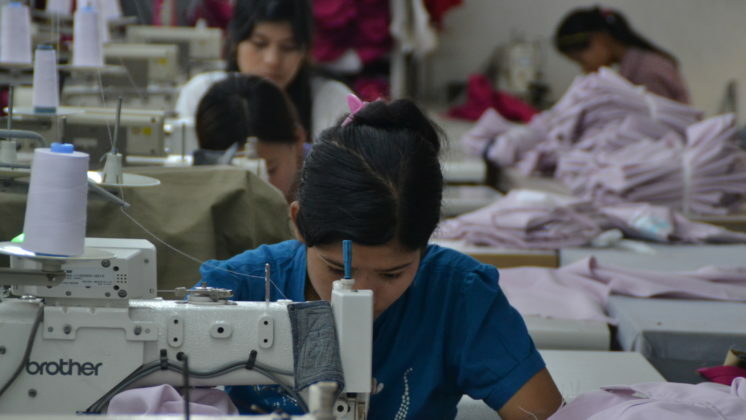 In addition, workers are severely restricted in their freedom of movement and privacy. Workers work in unsafe and unhealthy circumstances. Local and international NGOs have reported extensively on the Sumangali Scheme. Inevitably, brands and retailers sourcing from Tamil Nadu have Sumangali workers in their supply chain. 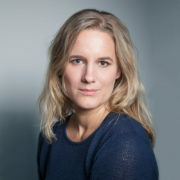 ICN and SOMO denounce the Sumangali Scheme as outright unacceptable and are of the opinion that sourcing companies have a responsibility to ensure that workers’ rights are respected throughout their supply chain.